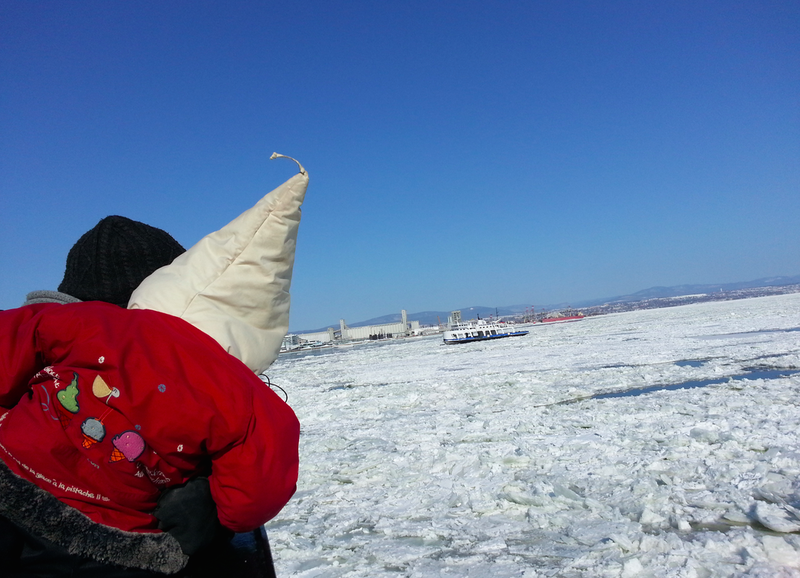 Crossing the Saint-Laurence River during Quebec's winter is a very cold adventure. When parents invest in a snowsports vacation, they can’t always be sure that the weather will cooperate to deliver those bluebird skies that mountaineers dream about. That’s why we asked a pediatrician for his tips on protecting kids from the effects of extreme cold: hypothermia. As our family playground shifts in wintertime to the mountain slopes and cross-country ski trails, we must respect Mother Nature’s cold shoulders. Our always-active children are vulnerable to cold stress (hypothermia). Kids’ large body surface area and lack of substantial fat insulation make rapid dramatic drops in body temperature possible. In extreme cold weather (less than 32° F / 0° C), children lose their ability to both generate heat and maintain their body temperature. How can you tell if your child is dangerously cold? Shivering, chattering teeth, slurred speech, and clumsiness are some early warning signs. Cold skin, decreased alertness and slow heartbeat appear later on. Avoid prolonged activity in severe cold weather. Respect the wind! A wind’s frigid effects quickly make our kids colder. Avoid wet clothing, direct skin contact with ice or snow, and cold water immersion; these greatly accelerate body cooling. When outdoors, cover the head well and shield the face; a child’s head and neck lose heat most quickly. Remember that the nose, ears, fingers and toes are very susceptible to frostbite in the most severe weather. Apply several layers of loose-fitting clothing to wick away moisture, shield, and insulate young winter athletes. Stay hydrated and drink plenty of fluids, especially warm fluids. Maintain a good energy level. Avoid risk factors including freezing temperatures, high winds and altitude, and contact with heat-conducting materials such as metal. Adults should remember that alcohol consumption not only impairs judgment; it also interferes with the body’s cold defense mechanisms. Also, at high elevations, the air is thinner. Despite the cold temperature or overcast skies, sunscreen and sunburn protection are still a must in highly reflective snow! Enjoy the winter wonderland, but take caution in helping our children battle the cold.